Goose down has one of the highest heat capacities among fibres - it retains heat more than other fills. It provides a comfortable and easy sleeping environment due to its light and thin structure. Goose down is odourless and dust mite free. 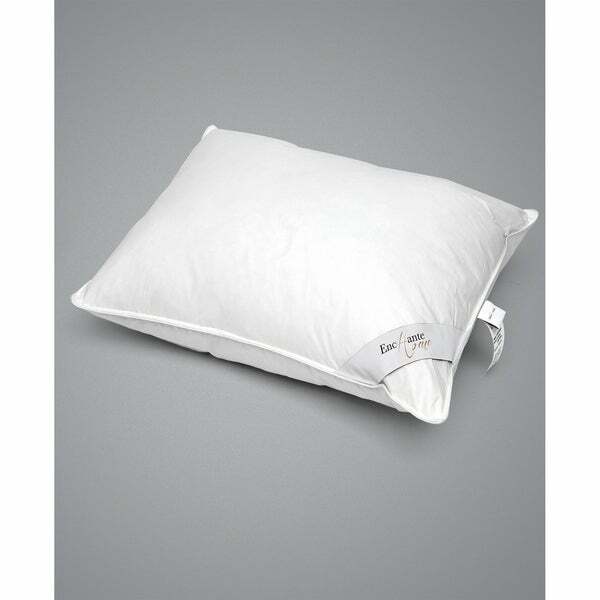 100% Cotton; Fill: 75% Down/ 25% Feather; 700 fill power Dimensions for Queen: 20" x 30" Dimensions for King: 20" x 36" This pillow is suitable for all seasons The filling of this pillow is made from the jowl and back feathers of goose. As the rate of jowl feathers increase, the rate of softness, lightness and heat capacity also increases. The filling of this pillow is made from the jowl and back feathers of goose. As the rate of jowl feathers increase, the rate of softness, lightness and heat capacity also increases. Back feather, which is generally mixed with a certain rate of jowl feather, provides volume and elasticity to the products due to its structure.